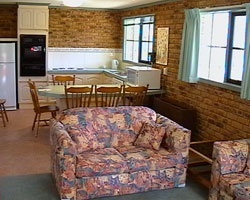 Set in 123 acres of Australian bush, *Kyneton Bushland Resort* provides quality holiday accommodation in fully equipped, self contained villas. Each villa is nestled in a unique bush setting, ensuring your complete privacy. 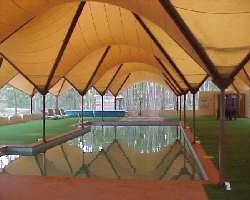 Rest, relax and enjoy the wonders of the Australian bush in an award winning 4 star resort. 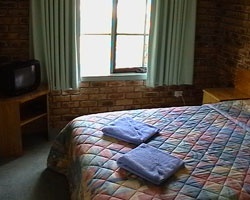 The resort offers accommodation for families as well as for couples wanting a quiet get away, including international and interstate travellers. Kyneton is centrally located in the Central Highlands of Victoria, Australia and just over an hour from Melbourne. 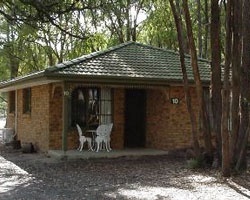 Situated close to many tourist attractions, Kyneton Bushland Resort is an ideal destination for those travelling in Victoria. Experience the natural bushland of Australia! Yearly usage in March week 9 with RTU in perpetuity! Reasonable offers considered! Enjoy climbing, fishing, wineries & more! RTU in perpetuity! Buyer may receive a title fee credit; inquire for details! Great option for families or just a peaceful getaway! Buyer May Receive A Title Fee Credit, Inquire For Details! Three floating red season weeks for sale-- see ads 2149708, 2149709 & 2149713! Buyer may receive a title fee credit, inquire for details! Beautiful resort surrounded by nature! Come relax! Floating week! Buyer may receive a title fee credit, inquire for details!